 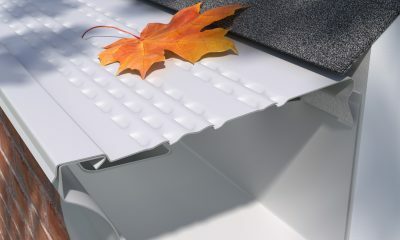 E-Z-HydroClean - a solid gutter protection system, that uses our patented multiple front radius curves for our lowest profile. It just snaps into the gutter with our exclusive positive lock system that uses no fasteners and doesn’t disturb the shingles. 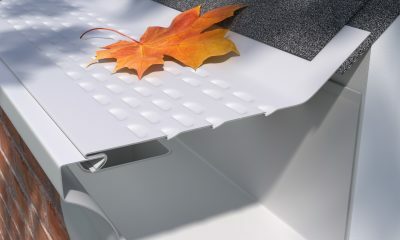 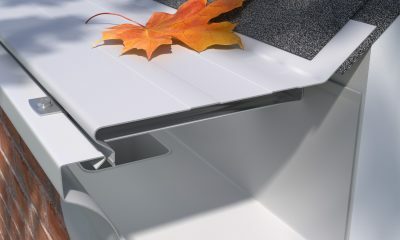 This solid guard allows the water to track around the front curve (by surface tension) and into the gutter through slots. 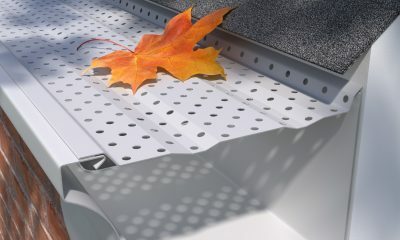 E-Z-HydroClean comes in 4-foot lengths and 5″, 6″ or 7″ widths. 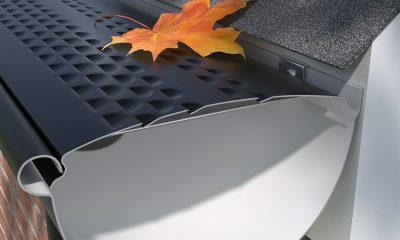 It just snaps into the gutter, snaps out for easy cleaning, uses no fasteners and doesn’t disturb the shingles when installed. 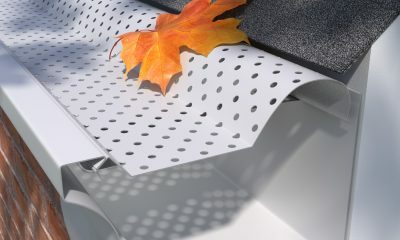 Like all gutter protection products, depending on your debris type and load, E-Z-HydroClean will require maintenance from time to time, by brushing off the top of the panels.